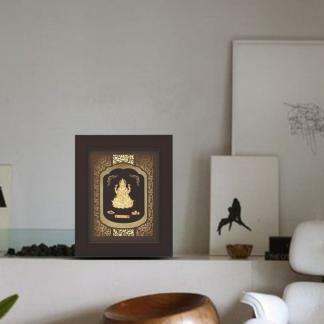 Revered as the female counterpart of Lord Vishnu, Shri Lakshmi is the female energy of the Supreme B.. 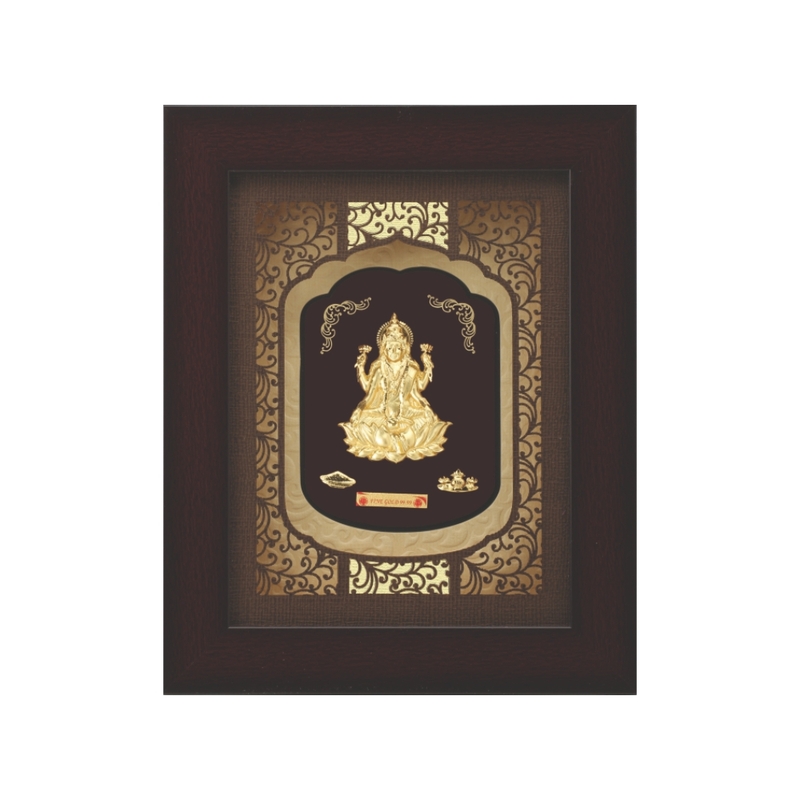 SIZE : 9.80" x 7.80"
Revered as the female counterpart of Lord Vishnu, Shri Lakshmi is the female energy of the Supreme Being. She is the goddess of prosperity, wealth, purity, generosity and the embodiment of beauty, grace and charm. 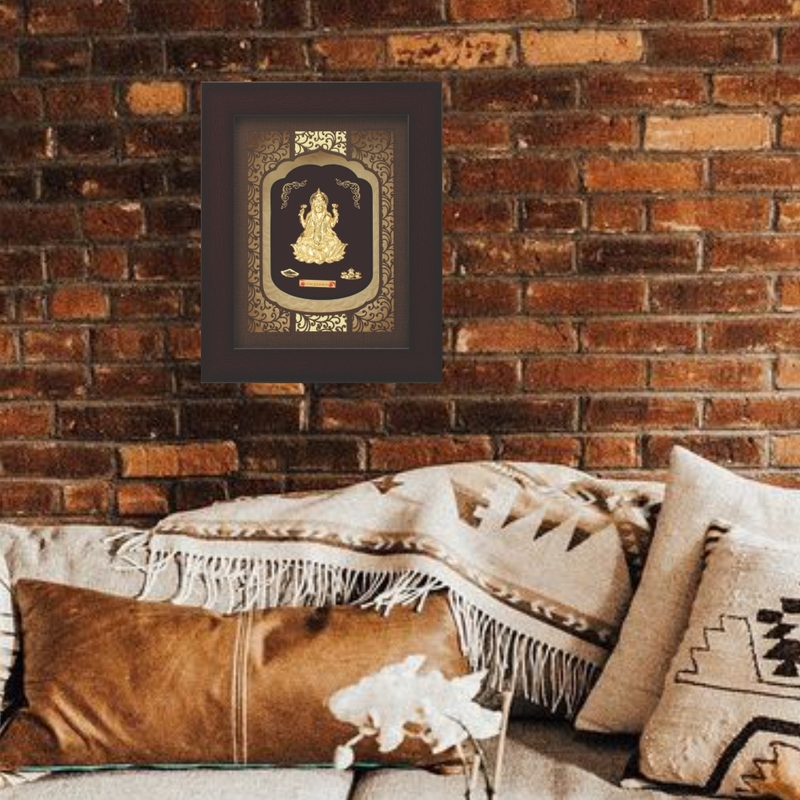 Many sages have composed powerful hymns in her honour. 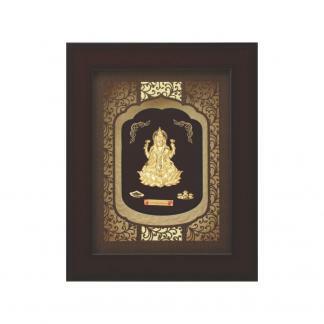 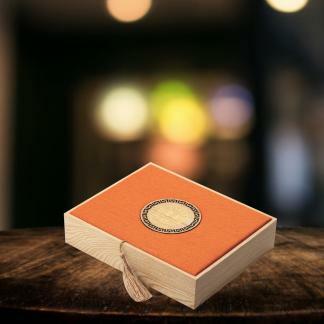 This Elite Rosewood Frame is a one-piece frame with Lakshmiji made in 24kt Gold foil in the centre. The product looks divine and gives a vintage look. 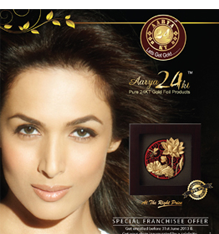 It also comes with a certification of purity of Gold foil and lifetime non-tarnishing guarantee.